The winner of this year’s Academy Award for Best Foreign Film was the Hungarian drama Son of Saul. In the movie, a concentration camp inmate receives special treatment from the Nazi guards because he assists with post-execution clean-up. To be more specific, he separates the corpses from their gold fillings, eyeglasses, and wedding rings. I haven’t seen the film so I cannot say for certain which camp the story was set in, but the premise seems in line with tales I have been told at all three “death camps” that I have had the opportunity to visit. 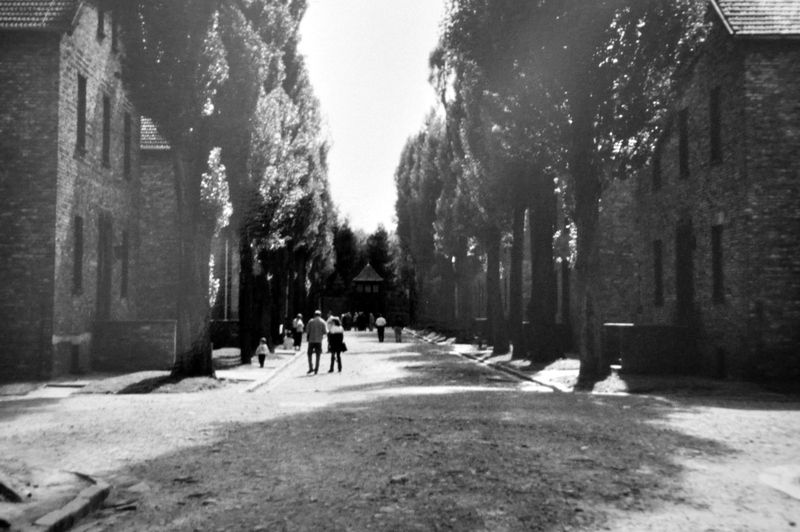 In 2000, I toured Auschwitz-Birkenau, in southern Poland. 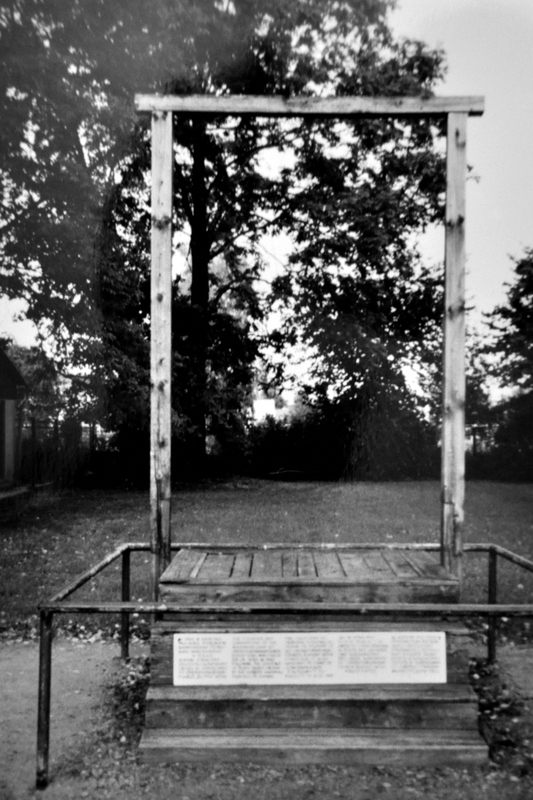 In 2009, I visited Dachau, in Bavaria. 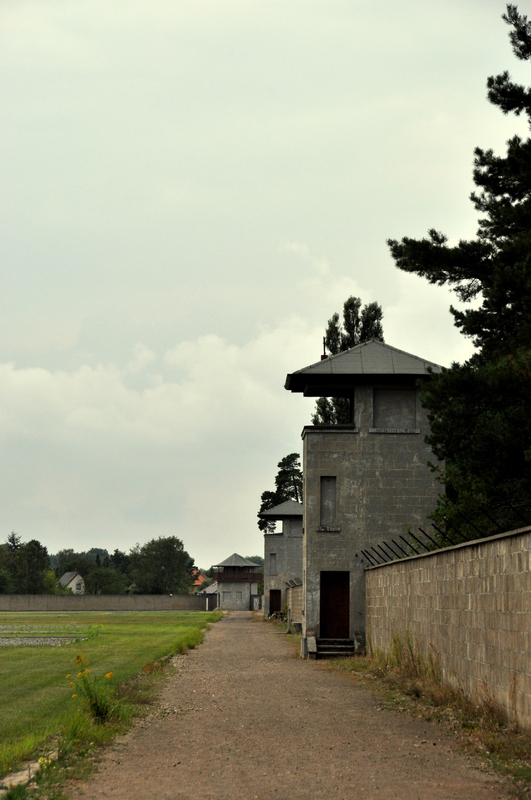 Finally, in 2012, I explored Sachsenhausen, in the former East Germany. Three different places, three sobering experiences. Poland, from where my maternal ancestors are descended, is one of those countries that, since childhood, I always imagined to exist in black-and-white. When I made it to Poland for the first time in 2000, it was to the city of Krakow, and barely ten years since the fall of Communism in that corner of Europe. Other cities, such as Berlin and Prague, had rebounded gloriously, and except for some hideous high rise apartments in the outskirts of town, had successfully shed most traces of their impoverished, 60-year Communist blight. Parts of Krakow, though, seemed stuck in the dark ages. The city’s Old Town was a glorious miracle of Baroque architecture and cobblestone pedestrian roads, but its train station, to name just one place, was woefully run down, with inadequate signage, and employed a staff of fright-wigged babushkas so mean that you wanted to go crying back to your $40-złoty youth hostel. Auschwitz-Birkenau, the mother of all concentration camps, was just 90 minutes outside the city by local train. I went with a friend, and we somehow managed to find the right train to Oswecim and, better yet, to disembark at the correct train station. People were leaving the site as we arrived, and some of them were in tears. A complete circuit of the grounds essentially encompasses two separate sites. 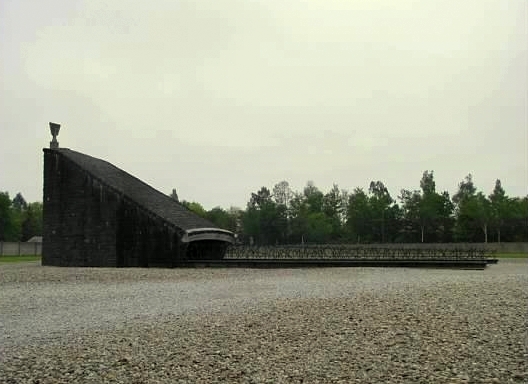 Auschwitz I, the better-preserved of the two, contains a museum, brick dormitory buildings, and the crematorium. 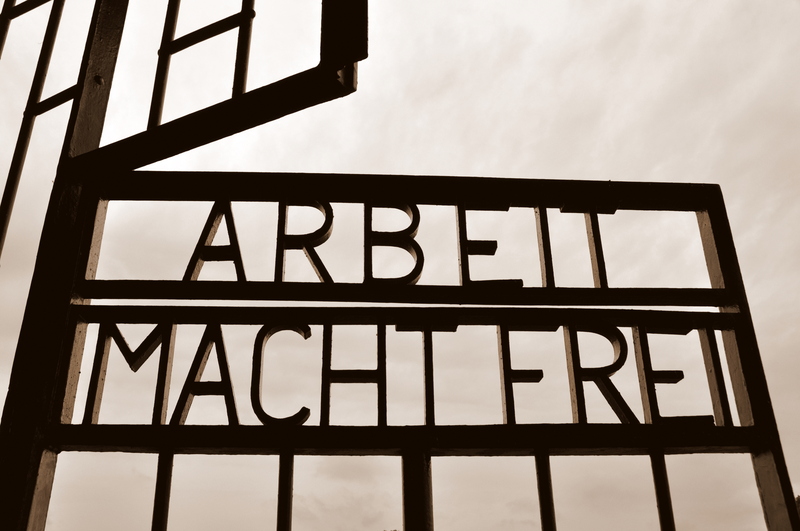 The entrance to the row of dormitories is through a wrought-iron gate with the words “Arbeit macht frei” emblazoned into the frame. “Work makes you free.” The unfunny irony. My friend Miles suggesting taking a guided tour, and while I normally prefer not to follow the herd, his instinct turned out to be right on the nose. Our guide took us from dorm building to building, point out things that we would have otherwise missed. The buildings were filled with enormous, floor-to-ceiling display cases housing a treasure trove of disturbing oddities. Hair. Gold teeth. Eyeglasses. Luggage. Wooden legs. The guide was sure to point out the birth date chalked onto one of the inmate’s suitcases: 1943. And those wooden legs? They belonged to German-Jewish soldiers who fought for Germany in World War I, only to be imprisoned, and likely killed, at Auschwitz. We visited the showers, and were told that whenever prisoners were escorted en masse to the showers, they didn’t know if they were getting a shower or the gas. I immediately thought of the film “Schindler’s List,” which was released just seven years prior and which featured such a scene. 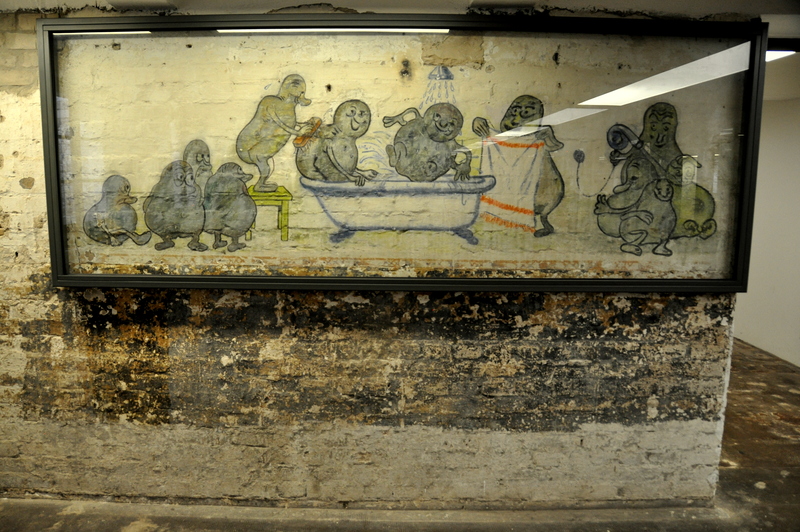 A group of women are stripped naked and forced into the showers. They scream when the showers first turn on, but when they realize it is just water, their screams of torture become sighs of relief. A moment of peace in an otherwise nightmarish existence. We exited the shower facilities and passed a gallows rigging from which several Nazi officers, including Amon Göth (the Ralph Fiennes character in “Schindler’s List”), met their demise by hangman’s noose. At the end of our tour, the guide informed us that he would soon be heading over to Birkenau, aka Auschwitz II, to lead a tour there. We hung back a few minutes to take some pictures, then walked the mile or so to the second site. Birkenau is left almost entirely in a state of ruin. 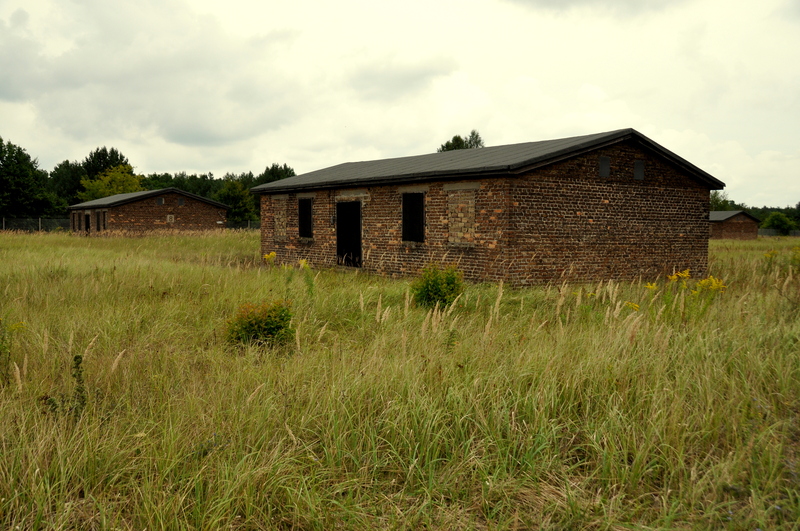 Just a few buildings remain: the brick entry building, which features a guard tower, and a single row of dormitories. Do you remember the scene in “List” when the train of terrified deportees first arrives at Auschwitz? That was here. The movie depicts the train having passed through the gate, with dormitory buildings all around, but the Polish government wouldn’t give director Steven Spielberg permission to construct tracks inside the grounds so the scene was actually shot on the opposite side of the entry building. The dormitory buildings at Birkenau were made of wood, unlike those at nearby Auschwitz. I cannot imagine the winter chill. Blankets were thin, covering malnourished inmates who slept on beds that were little more than planks of wood stacked three-high. We have all seen the pictures; horrible as they are, may they endure forever. Our guide told a heartbreaking story of how he used to tell tour groups that of all the manual labor, the job prisoners feared most was cleaning human waste from the primitive bathrooms on the grounds. He said that he was set straight, however, after one tourist, an older gentleman who lingered silently in the back of his group until the end, finally burst out with the confession that he was a prisoner here, and that emptying waste from the bathrooms was actually much preferred to shoveling snow in the bitter cold. Needless to say, our train ride back to Krakow was in contemplative silence. It sound strange after writing the above paragraphs that Germany is one of my favorite countries. But almost everyone knows that today’s Germany is a tolerant melting pot so 180-degrees different from that of the National Socialist Party. Munich, which I had longed to visit since studying German in high school, is one of the great cities of Europe. You can spend a week visiting the city’s parks, museums, and beer halls, and twice as long day tripping to any number of towns, castles, and historic sites. Ironically enough, it was also in Munich that the Nazi Party was born. It wasn’t until my umpteenth visit to Munich in 2009 that I decided to tour Dachau. I was on my own, and had almost an entire day to explore the grounds and see the museum, too. Like Auschwitz, Dachau is not just a concentration camp but a town, too – this one just 20 minutes outside of Munich on the S-bahn. A long walk from Dachau Hauptbahnhof and along the Amper River took me to the camp itself. “Am I ready to do this again?” I asked myself as I passed through the Arbeit macht frei gate into an enormous courtyard. 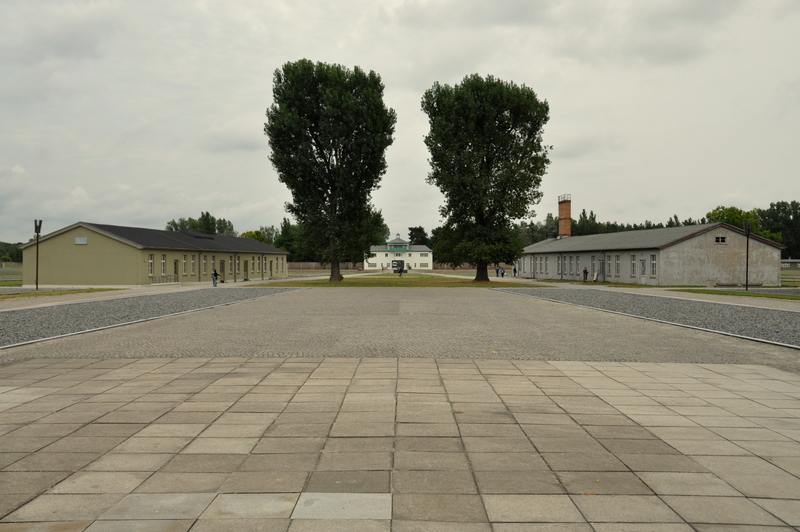 Unlike Auschwitz-Birkenau, Dachau is a single camp. Several school groups were touring the grounds, making this visit much less intimate than my eight-person Auschwitz tour group. But education is a good thing, I reminded myself, and busied myself in the museum building (the former kitchen and laundry) until the crowds thinned. The museum building, shaped like a giant “L,” is simply enormous. I found myself engrossed, and read as many of its placards as I could. The “patio” behind the museum building is framed by an evocative modernist sculpture by Serbian Nandor Glid that features skeletal figures tangled in barbed wire. The base of the patio is lined with wreaths from various world powers, including Poland, which suffered more than any country during WWII. 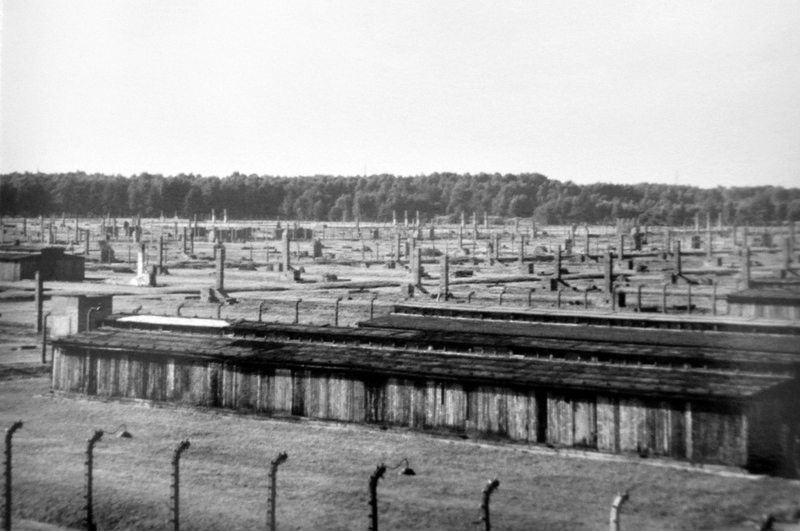 As with Auschwitz II, the dormitories were razed in 1945. 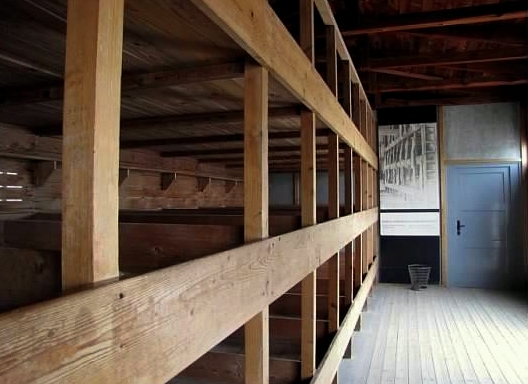 A few have been reconstructed, however, and a peek inside at the rows of bunks is unsettling enough to make you wish for no more genocide or war. That being said, historians insist that unlike Auschwitz-Birkenau, Dachau was a work camp, not a death camp. 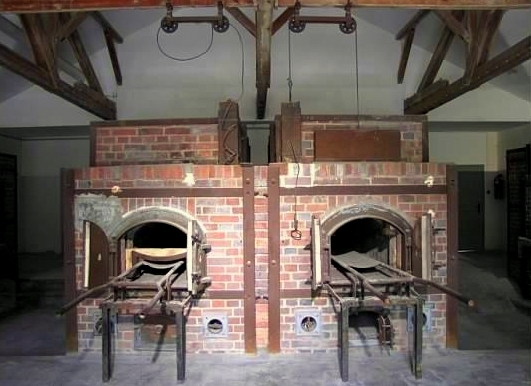 The existence of crematorium ovens on the grounds suggests otherwise, but it is believed that any bodies burned at Dachau were prisoners who died of exhaustion. 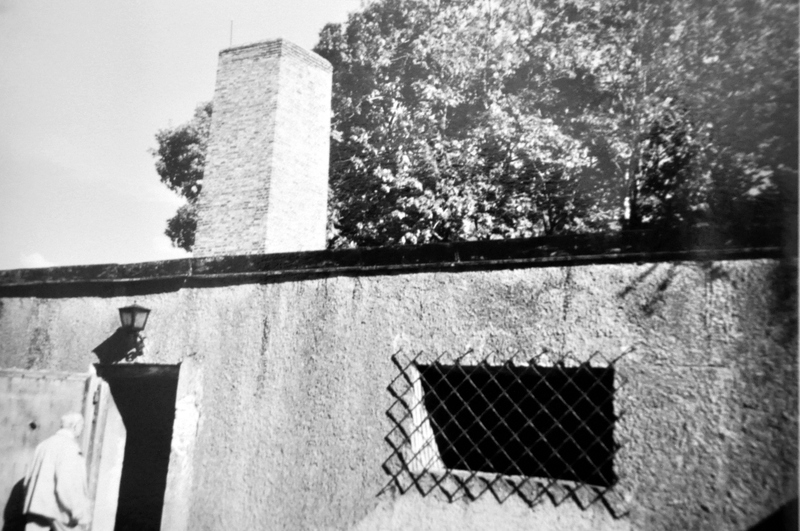 Likewise, any gas that was pumped through the showers – called “fumigation cubicles” here – was said to have only been used to delouse prisoners’ clothing. 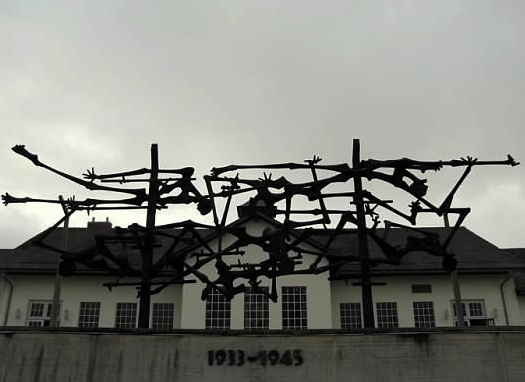 All of this is not to suggest that atrocities were not committed at Dachau. A marker on the outskirts of the grounds reads “pistol range for execution.” Not far from there I found the site of an old gallows stand. Were these used for disciplinary purposes only, or for some twisted sense of fun? We will never know…and the difference is trivial, anyway. A death is a death is a death. One thing that stood out was the number of on-site memorials. Several denomination-specific temples paid tribute to the victims of Holocaust. A Russian Orthodox church, built out of logs, memorialized those unknown thousands of Soviet political prisoners. A simple church, constructed by the Carmelite Order, holds multi-denominational worship services today. A Jewish synagogue, with a subterranean cone of silence, honors the memory of the six million Jews who perished during the Holocaust. The concentration camp at Sachsenhausen is located in the outskirts of the town of the same name, a suburb in Berlin at the last stop of the northbound S-1 line. The name of the station is Oranienburg. The camp sits at the end of a residential street, and I learned upon my lengthy visit that locals were unaware of what went on at the camp. Some people say that they thought the camp was a toothpaste factory, while others say that they knew what went down at the site but turned a blind eye to avoid trouble from the SS. I spent more time at Sachsenhausen than at either Auschwitz-Birkenau or Dachau. Sachsenhausen is the best-preserved of the lot, although, like Dachau, some buildings have been reconstructed. Each dormitory or “barracks” hut at Sachenhausen is accounted for. While most have been destroyed, separate, rectangular plains of gravel mark where each hut once stood. The dormitories that do exist have been transformed into museums, each one more engrossing than the one before. The site’s curators are honest and unflinching about what occurred here. In one building, I learned about the forced relocation of Berlin’s Sinti and Roma populations for the 1936 Summer Olympics. In another, I was horrified to learn of what befell 11 young Jewish males, selected by Josef Mengele at Auschwitz and transported to Sachsenhausen, where they were injected with experimental bacteria cultures. In yet another, I read about the 1944 shooting of five Russian prisoners who died slow deaths after the bullets that struck them down were filled with poison; their deliberate killings were later revealed to be “test shootings” in practice for a plot by SS Police Chief Heinrich Himmler to assassinate Joseph Stalin. “This is a sad place,” my ex-girlfriend said when we regrouped after exploring the grounds separately. Truer words, as the saying goes, have seldom been spoken. But there were unexpected bright spots, too. I stepped into a basement kitchen and was greeted by colorful wall graffiti, preserved under camera flash-diffusing plastic. In one sketch, onions, cucumbers, pumpkins, and tomatoes work together in solidarity. In another, potatoes scrub each other clean in a bathtub. I entered a guard tower and found a painting, discovered in a drawer and attributed to an inmate named Barton, done in the style of Van Gogh. 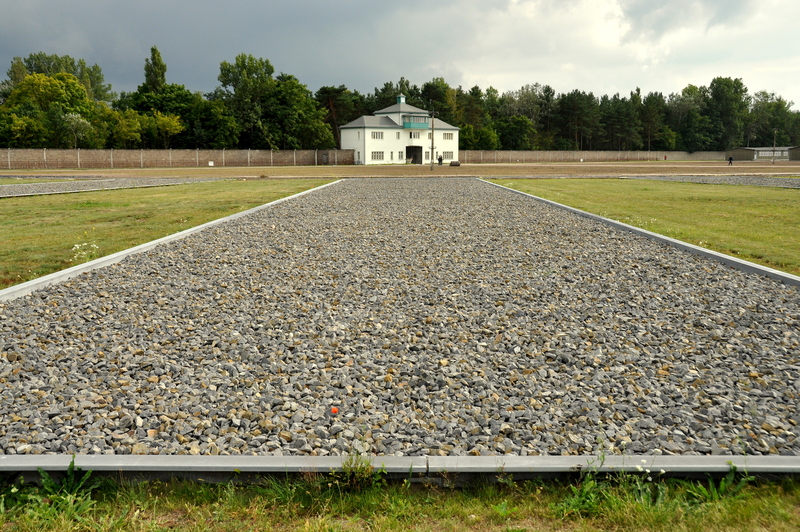 The Sachsenhausen grounds were enormous, and I thought that I had made a complete circuit when I rounded one last corner and found, to my surprise, an annex that was used by the East Germans years after WWII as a camp for over 60,000 political prisoners. Today, most of the dormitory buildings in this section sit in a picturesque state of disrepair, while a museum building features a veritable potpourri (I love that word!) of Cold War propaganda posters. Some travelers may say that visiting a concentration camp is not for everyone, but I disagree. Auschwitz-Birkenau, Dachau, Sachsenhausen, and the handful of other camps that still exist should be visited. The horrors the Holocaust should never be forgotten. According to the Jewish Virtual Library, over six million Jews – roughly one-third of the world’s total Jewish population during the 1930’s and 40’s – died as a result the Holocaust. Just as damning, five million non-Jews died as well. Invalids, Sinti and Roma gypsies, homosexuals, political prisoners, Jehovah’s Witnesses – Hitler pulled no punches. As long as we continue to remember the Holocaust – and to never whitewash its horrors – the world stands a chance at staying sane and free. Scourge like ISIS will never destroy our way of life, and the genocidal regimes of Rwanda, Sierra Leone, Zimbabwe, etc. will have a mercifully short shelf life. I will conclude with the oft-misquoted words of the late Spanish philosopher and essayist George Santayana: those who cannot remember the past are condemned to repeat it. Very interesting, very sad and very timely as I am just starting to teach my 8th grade students about the holocaust. Thanks for commenting, Peter. Have you visited the Museum of Tolerance in el DF? Hey Scott. Yes, I have been but it was when I first came to Mexico City in 2011, not too long after it opened I think so am overdue for another visit.